The Inness is a stunning frame that captures the essence of the past while maintaining a look towards the future. 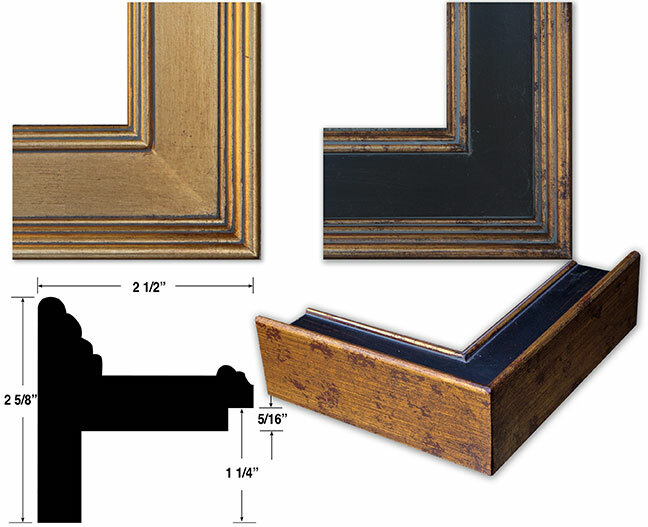 This frame works well for plein air, classic or contemporary styles of art. Its dramatic depth makes it perfect for deeper canvases offering 1 1/4 inch of depth. 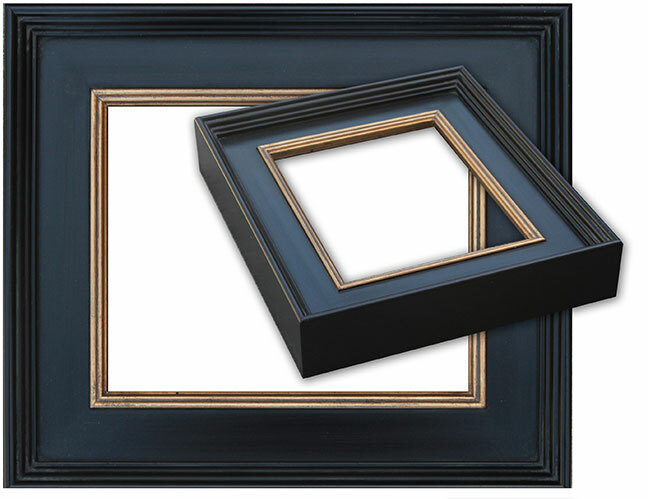 Overall, a very versatile frame, the pictures do not do it justice. Solid wood in Dark Espresso with gold lip, Broken Gold and beautiful Antique Gold with Dark Espresso panel. Allow 3-4 weeks delivery, usually they arrive sooner.